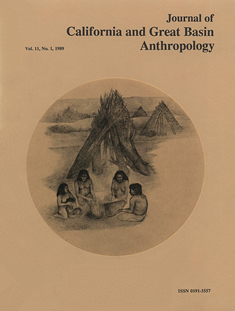 The Journal publishes original manuscripts on the anthropology, ethnography, ethno-history, linguistics, art, archaeology, and prehistory of the native peoples of Alta and Baja California and the Great Basin. Submissions of articles for consideration should be sent electronically through the eScholarship online submission platform (https://escholarship.org/uc/ucmercedlibrary_jcgba) or to Editor Adrian Whitaker. MS Word or WordPerfect format with photographs scanned at 300 dpi, in tiff format, and grayscale Charts and illustrations, especially those containing text, should be created in a vector-based drawing program, and saved to .ai format if possible. Please reference this graphic reference sheet from more information. Prospective authors should consult the complete online style guide for more details on submissions. All articles and reports will be reviewed by the editorial staff and no fewer than two anonymous referees. Authors may reproduce, at their expense, up to 100 copies of each contribution published by the Journal. Reprints may be given away or used as class handouts, but may not be sold. Authors wishing to reprint articles, reports, or reviews published in the Journal in other publications must first obtain permission. 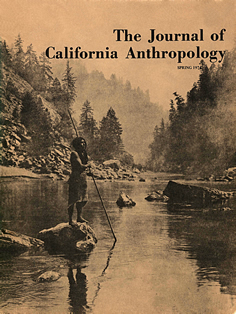 The Journal of California and Great Basin Anthropology is the only anthropological journal of California and features articles in all four areas of Anthropology: Linguistic, Biological, Archaeological, and Cultural. It also features a regular book review section. 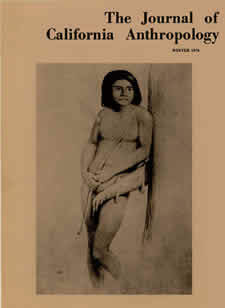 The Journal publishes original works on the ethnography, ethno history, linguistics, art, archeology, and prehistory of the Native Peoples of Alta and Baja California as well as the Great Basin. 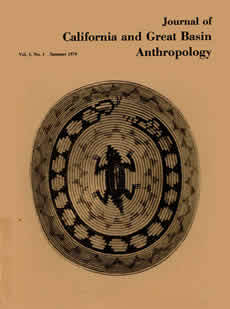 The Journal of California and Great Basin Anthropology is published twice a year by Malki Museum, Inc. under the auspices of Malki-Ballena Press Editorial Board, and in cooperation with the Department of Anthropology, San Diego State University. 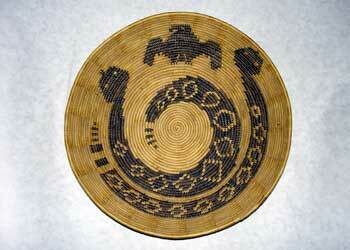 The publisher, Malki Museum, Inc., is a nonprofit educational institution incorporated by the State of California. This page includes tables of contents for issues beginning in 1974. Available back issues can be found at the Malki Museum Store.